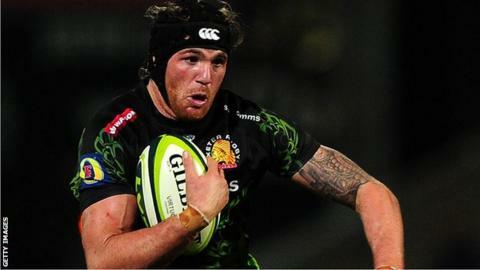 Newport Gwent Dragons have signed Exeter Chiefs flank forward Ben White on loan. White will provide injury cover for the back row over the next three weeks. The region will be without number eight Taulupe Faletau during the Six Nations and have injuries to Nic Cudd and Andrew Coombs. Australian-born flanker White formerly played at Cardiff Blues, and in Australia for ACT Brumbies, the Brumby Runners and Canberra Vikings.